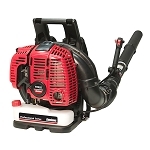 Your trusted source for Original Manufacturer Blower Parts and New Blower Sales. The right leaf blower can turn hours of work into minutes, and the leaves, even wet ones, will never stand a chance. 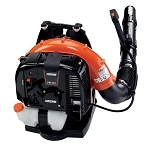 Leaf blowers have become a standard tool in every landscaper's arsenal. 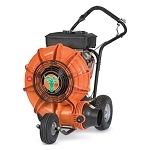 Whether you’re looking for a blower for home use, or you need more power for commercial jobs, our selection of electric leaf blowers, corded leaf blowers, cordless leaf blowers, electric blower-brooms and gas powered leaf blowers will get the job done. 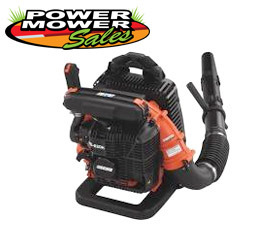 Power Mower Sales is a Leaf Blower Superstore! We carry all the top Lines and latest Models. Shop the latest equipment at lower prices, and take advantage of our comprehensive customer service. 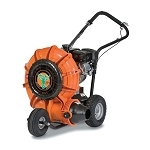 Power Mower Sales also supplies OEM accessories and replacement parts for most brands and models of blowers. Shop our assortment of attachment kits, filters, backpack accessories and much more. Use the links above to guide you to the proper parts diagram in our Leaf Blower Parts Lookup to find what you need. If you already know your part number, use the quick search bar at the top right to find it fast! If you need assistance finding your model number or a particular leaf blower part, don’t hesitate to contact us. We are real people, providing real service with over 45 years of experience. Order online 24 hours a day, or call us toll-free at 1-800-704-4241 (Monday thru Friday 8am-6pm EST) and we will assist you.